According to a recent Neilsen report, more than 90% of American adults utilize radio. Salt Lake Community College students learn how to talk to this audience in a different kind of classroom. Radio professors who are active in the field teach students how to run their own show on RadioSLCC, the student radio station. “They [the professors] work with you and give you a lot of freedom and encourage you to find your own voice,” says former RadioSLCC promotions director Hannah Allen. 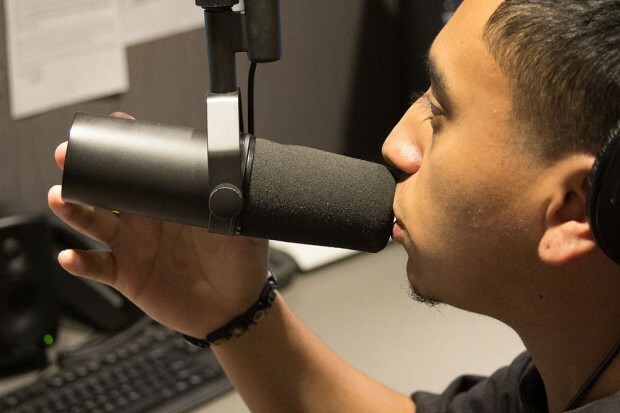 SLCC currently has two courses dedicated to radio broadcasting, COMM 1560 and COMM 2560. Students enrolled in either of those classes use a state-the-art broadcast facility inside the Center for Arts and Media. Classroom lectures are kept to a minimum with an emphasis on getting students into the studio for hands-on experience. “It’s really an awesome radio program. I went in with only a little bit experience and they just threw me into it,” Allen says. Students who might not be considering broadcasting as a career are still encouraged to enroll. 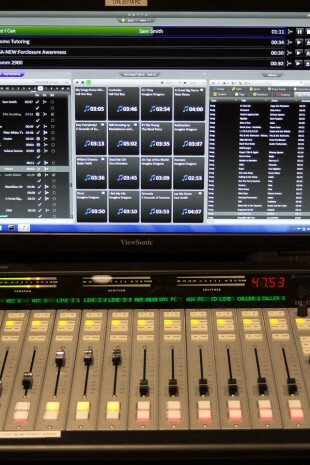 The radio production classes also look at the history of broadcasting, along with theory and techniques used by today’s professionals. Students completing a broadcast program will gain confidence in a broad spectrum of communications. In addition to the technical aspects taught in class, students with little to know experience in radio will gain valuable communication skills in real time. “One of the best things about radio is you have the ability to speak to a very broad audience, but still connect on an individual level,” says RadioSLCC news director Brad Bennion. To hear a sample of what current students are learning, visit the RadioSLCC website.